Meghan Markle was not at the Order of the Thistle in Scotland, nor was Prince Harry. 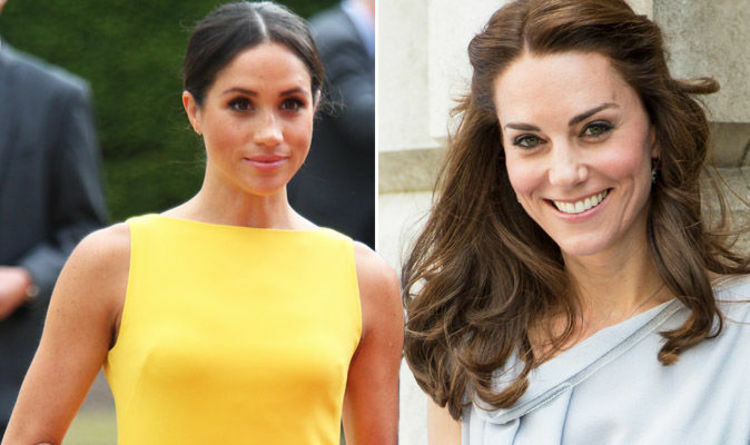 Neither of them were scheduled to attend a clashing royal engagement yesterday – so why were they not there? Meghan’s sister-in-law, Kate Middleton, who did not attend this year while on maternity leave, first attended the event in 2012 just one year into her marriage with Prince William. A number of other royals, including Queen Elizabeth II, 92, and Prince William, 36, also attended the important event. The reason neither Meghan nor Harry attended is because Prince Harry is not a Knight of the Thistle. The Order of the Thistle is an ancient order of chivalry, consider the greatest in Scotland. A service takes place every two years in order to welcome new members – Knights and Ladies – to the order. Prince William and Princess Anne, 67, have both received this honour, enabling them to attend this year. Kate Middleton attended in 2012 because she is married to Prince William. However, Prince Harry has not received this honour, although it is possible he may do so in the future. He has not received a knighthood for the Order of the Garter either. This is why he and Meghan were absent from this service last June. But why was Prince Harry captured moving his hand away from Meghan’s? Harry appears to avoid Meghan’s hand in an awkward video from the event, after she reaches for his. The couple have been pictured holding hands on a number of official engagements, most recently at the Malborough Hosue Commonwealth Youth event.